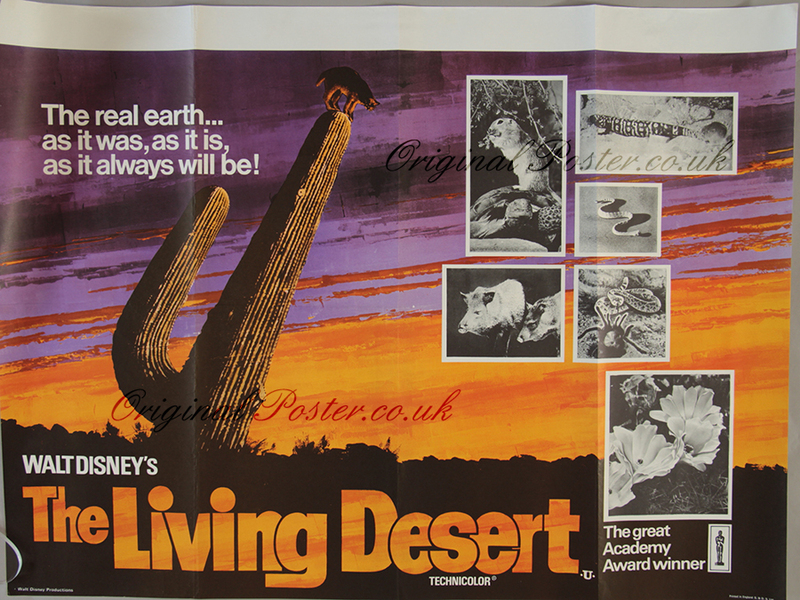 Details This Oscar winning Walt Disney feature documentary studies the struggle of the wild life in the extremes of climate found in Death valley, the Salton sea and the Yuma desert. Walt was very brave founding his own company Buena Vista when RKO decreed that the film would fail at the box office. It was profitable as is proved by this rerelease quad printed in England by S. & D. S. Ltd.